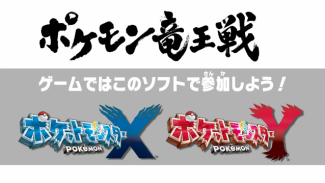 The central conceit of Pocket Monsters XY Pokemon The Legend of The Ryuu-Oh is that there's this "Ryuu-Oh Tournament" (竜王戦) in which the best Dragon-Type Trainers around gather to battle one another. This tournament is based on a real-world "Ryuu-Oh Tournament" that took place at the time of this manga's serialization. This page is all about the real world event and shows how the tournament in the game differs from the real one. 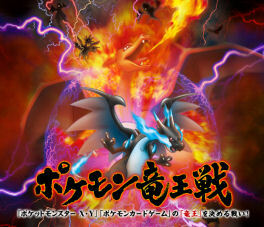 The official website for the Pokemon Ryuu-Ou Tournament can be found here. 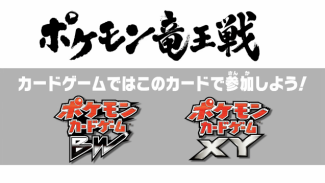 The Ryuu-Oh Tournament (竜王戦) was a tournament for both the Pocket Monsters video games and the Pocket Monsters Trading Card Game. The tournament was open to anyone elementary school aged and younger. The preliminaries were held in various regions throughout Japan starting January 2014. The finals were held on March 22nd, 2014. An invitation to the "Pokemon World Championships 2014" in Washington, D.C. in the U.S. The winners ended up being twelve year old Terasawa Rin (video game) and Hasegawa Asaki (card game). The Ryuu-Oh tournament in the manga appears to take place in a stadium created specifically for the tournament while in the real world it's being held in facilities used for a large variety of events. The battles will all be "Double Battles." 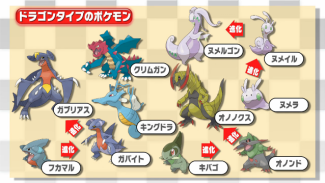 Myuutwo, Myuu, Lugia, Hou'ou, Celebi, Kyogre, Groudon, Rayquaza, Jiraachi, Deoxys, Dialga, Palkia, Giratina, Fione, Manaphy, Darkrai, Shami, Arceus, Victini, Reshiram, Zekrom, Kyurem, Keldeo, Meloetta, Genosect, Xerneas, Yveltal, and Zygarde. Participants must have four pokemon, Levels 1 - 100, in their Battle Box. 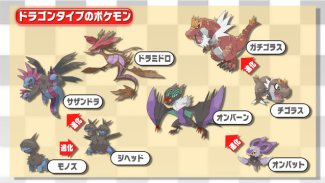 Of those four pokemon, at least one of them has to be a Dragon-Type or be a pokemon who can Mega Evolve into a Dragon-Type. Those pokemon who can Mega Evolve and become Dragon-Types must be holding the appropriate Mega Stone. In the manga, all the battles are Single Battles but everything else seems to line up according to the official rules. All pokemon Level 51 or above will automatically be brought back down to Level 50. The attacks they know will remain the same, however. Those pokemon who are under Level 50 will remain as-is. You can not enter with more than two pokemon with the same Pokemon Zukan number. 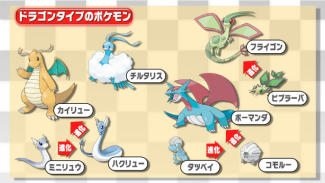 You can only enter with pokemon that can be obtained through normal play in Pocket Monsters XY, those who have been hatched from eggs, those you've obtained from an in-game trade, and those that have been distributed officially. 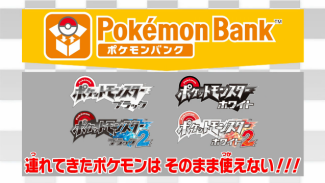 You cannot use pokemon that have been transferred from Pocket Monsters Black, White, Black 2, or White 2 using the Pokemon Bank application as-is. Left: Your pokemon must be a native of the Kalos Region. More than two pokemon are not allowed to be holding the same type of item. You cannot use any item that cannot be obtained through regular gameplay or that wasn't given out as part of a special distribution. 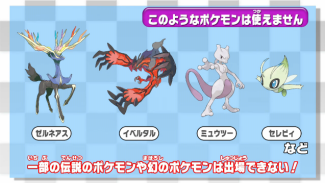 "Nature Power" will become "Tri-Attack"
"Secret Power" will have a 30% chance of causing "Paralysis." 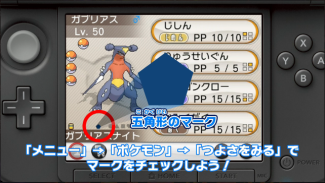 "Camouflage" will change the user into a Normal-Type. The user loses: "Self-Destruct," "Explosion," "Destiny Bond," and "Final Gambit." The user wins: The attacks "Double-Edge," "Volt Tackle," "Flare Blitz," "Take Down," "Submission," "Brave Bird," "Wood Hammer," "Head Smash," "Wild Charge," "Struggle," and "Head Charge"; and the Hold Item "Life Orb." If both pokemon are knocked out by the weather, then whichever one loses all their pokemon first will be declared the loser. This includes those who lose due to "Perish Song." For pokemon with Abilities like "Rough Skin," "Aftermath," "Liquid Ooze," and "Iron Barbs," or hold items like "Rocky Helmet," among others, the pokemon whose Ability / Item afflicts the damage will win. Each match will last 15 minutes. The time will be kept using the in-game clock. Whoever has the most pokemon left over. If both have the same number of pokemon then whoever's team has the highest maximum HP will win. If both of those are the same then whoever's team has the most HP remaining will be declared the winner. Players have 30 seconds to choose their attacks. 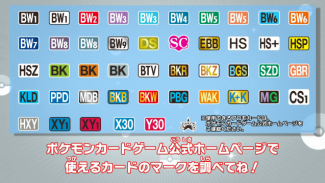 If the Player doesn't choose a move within 30 seconds then a move will be chosen for him or her automatically. Participants who used an unauthorized method of altering their save files or create data, including pokemon. Those who cause trouble to other participants or risk giving the tournament a bad name. Those who falsify their entry information or attempt to compete as someone else. Any other action that the staff deems inappropriate. A Lizardon holding "Lizardnite X"
Each match will last 30 minutes. The match will continue until the final call. A minute after the final call is made the player whose turn it is will end the game. If the final call is made during a turn (say, after a pokemon attacks but before the other player draws his / her card) then the match will end right then and there. After the match is declared over and both sides have the same number of Prize Cards in their side then the match will go into overtime. At this point, whichever participant takes the next Prize Card is declared the winner. According to the official rules, the match will go into sudden death in the event of a tie. 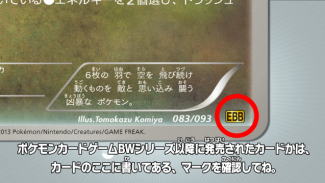 The cards you can use will have one of these marks on the bottom right-hand of the card. Your 60-card deck can be composed of cards from the "Pokemon Card Game BW Series" onward. 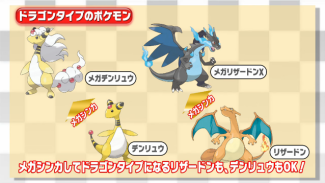 Please note that for the finals, the number of required Dragon-Type pokemon cards goes up to four. You may not change out your deck during the tournament. Please check out the Pokemon Card Game Floor Rule for further information.